India is witnessing a sea-change in the way the women are choosing to work. While the proportion of women in the workforce has seen a steady decline over last two decades, women exploring alternate careers and starting their own businesses have been on the rise. Bending archaic gender stereotypes, each of these trailblazers have a story to tell the world. The journey ofan entrepreneur who started off from her home is inspiration to many. This International Woman’s Day, The Times of India, the leading news media publisher of the country, launches Times SheUnLTD. Awards, powered by Senco Gold & diamonds, to honour these women achievers. This new brand-property from TOI will focus on inspirational stories of women who have dreamt of unique business ideas and creative work-spaces and made these alternate careers their mainstream. Additionally, TOI has also associated with FICCI FLO as the Empowerment Partner and Sheroes as the Community Partner each of who will help extend the reach of the property. The achievers will be chosen post screening and deliberation by a panel of jury comprising experts. The campaign will be widely covered through TOI’s metro supplement brands – Bombay Times, Delhi Times, Gurgaon Times, Chennai Times and Bangalore Times. 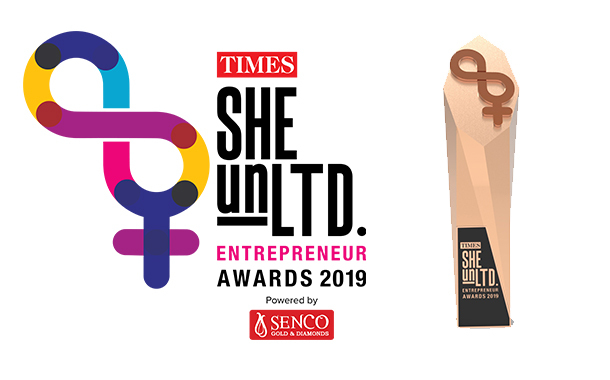 In this first chapter, Times She UnLTD Awards powered by Senco Gold and Diamonds, will focus on achievers across the fashion, beauty and food industries in the country, and provide them a platform to share their compelling stories with aspiring women entrepreneurs. Future chapters of this award will see addition of more sectors like Fitness, Entertainment, Health & Wellness, Creative Arts, Technology, Travel and so on. A panel of jury members who have been handpicked among the best in the respective field will review the entries and shortlist the finalists. The finalists across each city – Mumbai, Delhi (Noida & Gurugram), Bengaluru and Chennai – will have a chance to present their story and business journey to the Jury Panel. This event will be hosted in the respective city. Watch out for the announcement of the jury panel, they are the most respected names in their respective work field. The campaign will be an ongoing engagement over four months.